Reigning Yukon Quest champion Allen Moore headlines mushers who have registered for the 2019 race. 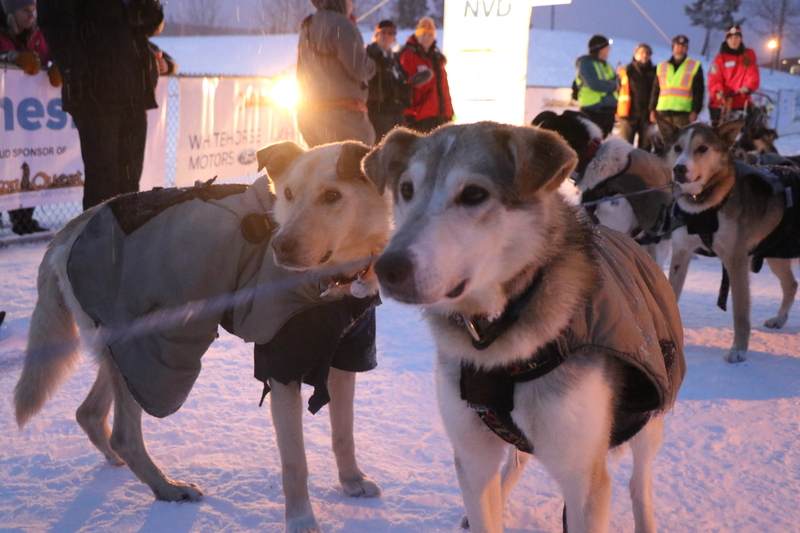 Opening day sign up events in Fairbanks and Whitehorse were held over the weekend, and a total of 22 mushers registered for the thousand-mile race. It’s the largest number of people to sign up on opening day since 2013, according to race organizers. Moore of Two Rivers is a three-time Quest champion. Fellow past winners Matt Hall, also of Two Rivers, and Brent Sass of Eureka also registered to run the race again. Noticeably absent is two time Quest Champ Hugh Neff of Tok. Neff has been banned from running the Yukon Quest for two years, due to dog care issues in last year’s race. While Neff is absent, his wife, Olivia Webster has registered to make her rookie run. Webster, whose grandfather Leroy Shank helped found the race, is one of seven first timers who signed up on opening day.